Have you ever watched a marathon? It’s pretty hard to understand, or even try to conceptualize what’s going on these runner’s minds. How could these people run 26.2 miles by choice? Why would they possibly put themselves through such a thing? They must really like running, right? Well, of course, most people who run marathons, hopefully, do in fact really love running. However, running a marathon is about so much more than just running. A big part of a marathon is without a doubt about running. But for marathoners, running means everything to them. Running is what brings them joy to their lives every day, makes them feel so much more alive, is what keeps them sane and smiling, and for many what gives them a great sense of purpose. Many people like to take on a challenge and prove to themselves that they can do anything. And running a marathon truly proves that impossible is nothing. Everyone has different reasons for wanting to run a marathon, whether they want to get healthier, get in shape, make a lifestyle change, or feel accomplished. Ask anyone who has run a marathon, and you will surely hear a different unique story from each person. 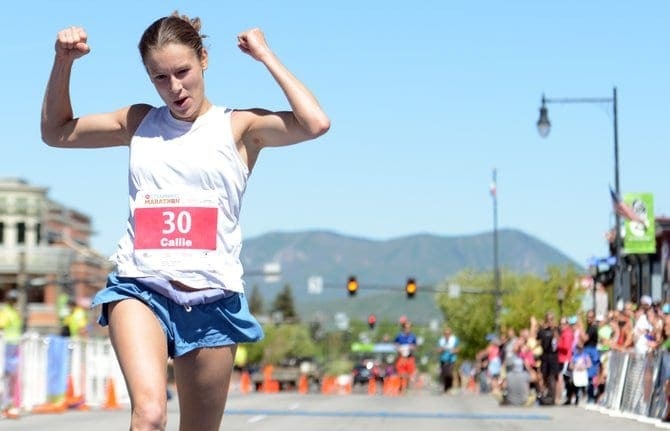 Running is, in fact, a lot more mentally challenging than it is physical. There really are few things more challenging than pushing yourself for such a long distance through a marathon. But the mental challenge exists throughout the months of training, and it’s really not about the destination, it’s about the journey. Those who have run marathons know that it requires several months of intense training. It is a mental challenge to wake up early every morning and get out there and run and follow a strict schedule. 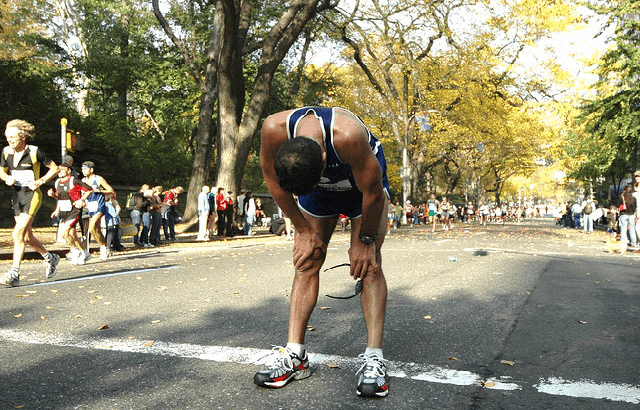 Marathon runners are certainly impressive people, but they are not superman and get tired too. Just like you, they want to stay in bed on Saturday morning and sleep in. They also have to give up on drinking with their friends on Friday night in order get a good night sleep and be energized for their early morning long run. Marathon training also requires a special diet and knowing what the right things to eat are, as well as when to eat them. This is not always fun since life always throws surprises at us and we have special events and cravings. There are always temptations to stray off the strict schedule. The training for a marathon is probably the most challenging part that requires the most determination and strength. And it is nearly impossible that any marathon runner won’t have feelings of doubt, and will feel so completely exhausted and frustrated. They journey often includes both laughter and tears. Similar to you not being able to understand what is pushing them so hard, sometimes they too will ask themselves that. But somehow, people run marathons. They cross that finish line feeling an incomparable feeling of satisfaction, knowing how hard they have worked to get to this point and understand that everything was all worth it. There is a well-known quote among runners ‘‘There are moments where I don’t think I can run a marathon, but a lifetime knowing that I have’’.